Mona Hussein Design House is privileged to be part of Banaty foundation and the adoption of 15 children, trying to widen their ability to have bigger dreams and tools, to give them hope for a better future. Banaty’s main objective is to eliminate street kids in Cairo's urban areas. Giving all Banaty children ( ages: 4 months to 14 years ) a better chance in life. MHDH annually arranges workshops with Banaty, where our designers prepare a design program for the kids. This in order to interact with each other on a social level, as well as an educational level, that could widen their potentials. 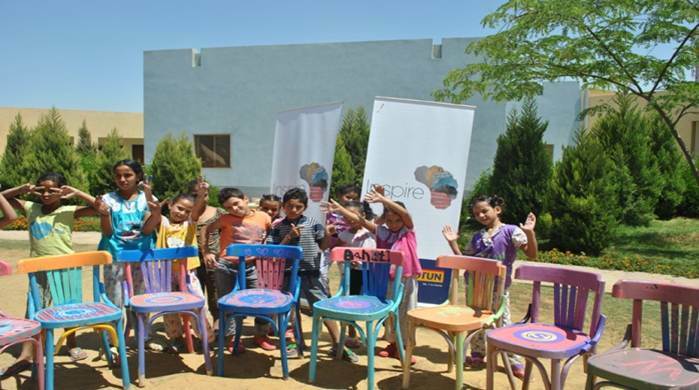 Previous workshops were about palm trees and their different uses, other about chairs painting using the children creative ideas. We will continuously be looking forward for new workshops, concepts, and ideas.